The Heidelberg Centre for Transcultural Studies (HCTS) is an Institute for Advanced Studies at the University of Heidelberg. 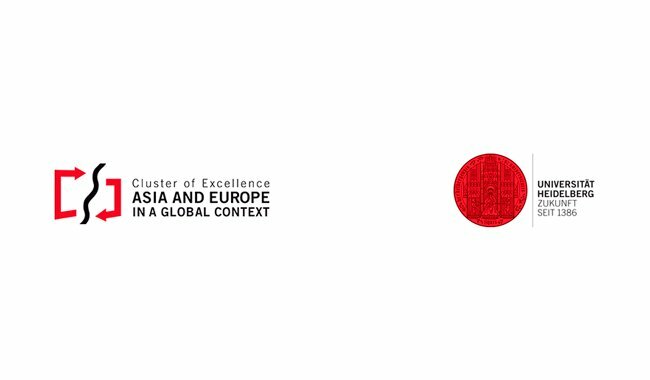 Building on the structures established by the Cluster of Excellence "Asia and Europe in a Global Context," it is open to scholars especially in the humanities and the social sciences. Founded in April 2013, the Institute assembles scholars from all over the world to engage in an interdisciplinary dialogue and to enhance their understanding of transcultural processes. The institute offers an M.A. and a Doctoral Programme in Transcultural Studies. In addition to five permanent fellows (the HCTS professorships in Transcultural Studies), a group of senior and junior fellows is invited each year to join the HCTS to pursue their own research and to engage in discussions with other fellows as well as graduate students around a common theme. Fellows can choose to be in residence in Heidelberg for a period ranging from between six months to two academic years. Movements of knowledge depend on multiple agents, frames, and pathways, and rarely proceed in linear fashion. How can we get a firmer grasp on the ways and means by which knowledge is mediated in different times and spaces? Who are the intermediaries that make knowledge travel, how can we best describe their practices, and what are the objects on which their mediations rely? The premise that cultures are formed through transcultural relationships implies that migrant actors, objects and knowledge are not unique attributes of the globalized present. What kind of a conceptual framework do we require to make sense of circulatory practices before the advent of modern communication and to describe the nature of the shifts such practices undergo in the present? How can the investigation of transcultural links in Antiquity, the Middle Ages or the Early Modern Period lead to a rethinking of notions of periodization, community and representation? How can we recuperate experiences, cosmologies and practices which articulated and simultaneously shaped a consciousness of worlds beyond the local? Urbanisation patterns and processes are key to cultural dynamics and globalisation. For a better understanding of entanglements between Asia, Europe and the world, across time and space, questions of the (trans)formation of urban space are central. How do traditional forms of living change through media, mobility and demographic developments, what concepts and perceptions of urbanity are developed accordingly? How can we reconceive, from a transcultural perspective, the management of migration flows, citizenship, ethnopolitical discourses and demographic shifts (ageing, gender, leisure) as they manifest themselves in urban space? In what ways could the intensity of entanglement generate modes of resistance and discourses of radical alterity?